Applications for the Eddie Adams Workshop are now available on the Eddie Adams Workshop website. The application deadline is May 25, 2012. The Eddie Adams Workshop, Barnstorm, is an intensive, 4-day tuition-free workshop, where 100 students are selected from a competitive portfolio review to get together with leading professionals in photojournalism and documentary photography, including photographers and picture editors. The workshop provides a forum for the discussion of current photographic practices in photojournalism and documentary photography as well as portfolio reviews. I’d encourage anyone who seeks to further pursue their interests in photojournalism and documentary photography in an engaged and intensive forum to consider submitting an application and portfolio. This is fantastic opportunity to gain invaluable insight as well as be able to one-on-one face time with working professionals. 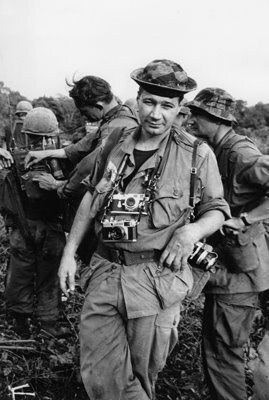 The Eddie Adams Workshop accepts college students, professionals with 3 years or less experience, and U.S. military photographers. Applicants are required to submit a completed application, a $45 application fee, a personal statement, and a portfolio of no more than 20 images. Barnstorm XXIII will run from October 5 – 8, 2012. 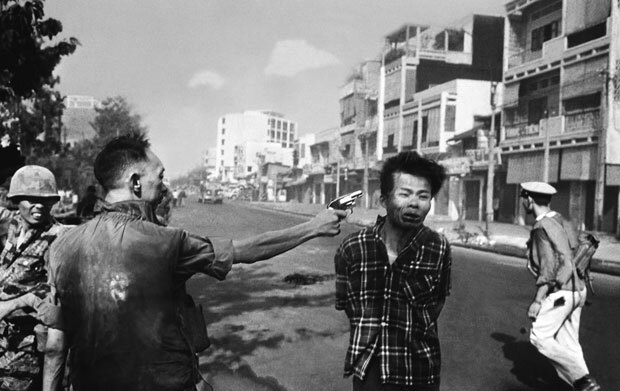 Eddie Adams (1933 – 2004) was one of the most important photojournalists of his time and won the Pulitzer Prize for photography in 1969 for his shot of a Viet Cong lieutenant being executed at close range on a Saigon street by a South Vietnamese general. His photograph depicting 50 Vietnamese on a 30-foot fishing boat fleeing their homeland ultimately led Congress and President Jimmy Carter to open the door to the U.S. to more than 200,000 Vietnamese refugees. In 1992, I was fortunate to make the cut and be invited to the workshop as a member of the Burgundy team (Barnstorm V alum). With the workshop taking place in Bethel, New York, the Burgundy teams’ assignment was to photograph farmers. The farmer that had been pre-arranged for me to photograph was no longer interested and after travelling around in the van, seeing all the other team members get dropped off at their respective farms and getting tired of driving around, I decided to get out of the van and just walk around. I figured I’d just hop some fences and find some farmers on my own. I don’t remember how many of those fences I climbed over, but it had all worked out. It took the van some time to find me at the end of the day. When they finally found me, I was running around (no horse involved), helping this one farmer round up his cattle. Later that evening during dinner, Eddie approached me and asked if I was the guy running around with the Leica and herding cattle – (the only camera I had brought with me was my Leica M-6 and a 35mm lens. Besides my good friend, Jim Linehan, who also had a Leica, everyone else had what seemed to be suitcases of photo gear). I was embarrassed to admit that the story was in fact true and that I was the guy who had been using his camera to help herd cattle. I remember he just smiled and then told me not to lose that sense of spirit as a photographer. A moment I won’t soon forget and a poignant thought on the responsibility of a photographer and his/her relationship to their subject. The experience also led me to applying and being accepted into Yale’s MFA photography program.